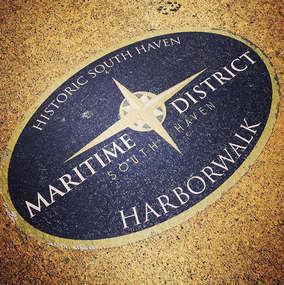 Enjoy the beautiful and historic Maritime District of South Haven through the HarborWalk walking tour. The HarborWalk runs from pier head to pier head. Historic markers along the Black River provide fascinating and informative information for the imaginations of visitors to this once busy commercial and recreational harbor. From start to finish it is roughly 3.2 miles (5k). It is a great way to get those 10,000 steps in and be active while experiencing some fascinating South Haven maritime history!